There’s an old Mark Twain line that goes, “Buy land, they’re not making it anymore.” In that spirit, let me show you an alternative to stocks you don’t often read about... how to make money investing in rural real estate. No, I’m not talking about one of those Florida swampland deals. It doesn’t involve buying stocks, options or any other fancy financial instrument. I’m simply talking about buying land. How does it work? Believe it or not, it’s a simple process. You and your wife - or just you if you’re single - get in the car and go for a Sunday drive. (If you’re old enough, like me, you probably remember doing this with your parents.) Drive far out from the city and just... look around. Sounds crazy, right? Well, that’s exactly how I got started. I got started young, too. And I’m glad I did. Because here’s a little secret about buying rural real estate: The earlier you start doing it, the more money you can make. I’ll show you what I mean through my own personal experience. When I was 28 years old, I was married (the first time) and living in the country. 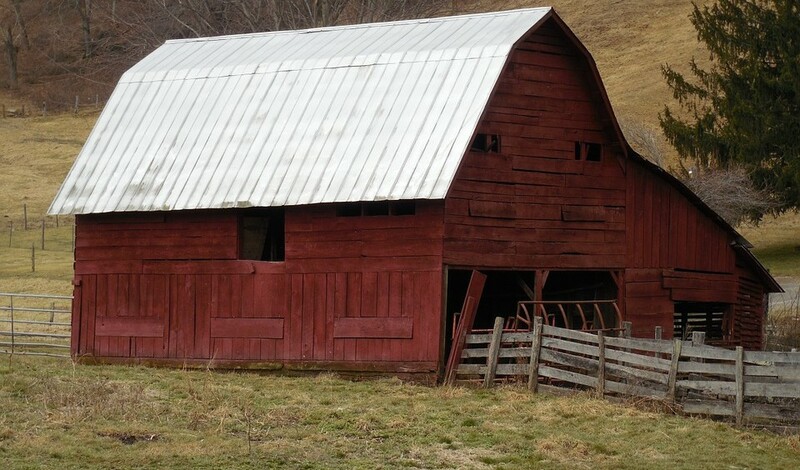 The 100-year-old frame farmhouse I owned had a small barn and not one but TWO two-car garages on a one-acre lot. Since I collect tools and other farm equipment, I was in heaven. I had all kinds of places to park cars and stow away gadgets. However, after completely restoring the house, I was ready for another challenge - a place with more land. I knew that I liked living in the country, so I started driving around the township looking for a bigger piece of property. About three miles from my house, I drove by an old stone farmhouse that no one lived in. The four outbuildings were in fair shape. The beautiful stone had basement waterproofing sealer covering it. I’d often wondered about the place. It was on a gravel road with neighbors that were so far away I couldn’t see them. It was a beautiful setting. The question was, how many acres came with it? I was about to find out. As fortune would have it, there was a for-sale sign out front. Even better, it turned out the sign just went up earlier that day. In real estate, timing really is everything. I immediately called my real estate agent and told her I wanted to know the specifics. She said the house was on 15 acres and the owner wanted $80,000. I said I wanted to put in an offer immediately. I offered $65,000 and she said that was too low - that the owner would never accept it. I told her to make the offer anyway and to tell the owner I would review any counteroffers. He countered at $67,000. I wrote a check and bought it. A few years later, an adjacent field (the property was surrounded by farm fields) went up for sale. It was 20 acres, and I was able to buy it for $50,000. I later bought another adjacent field for about $2,000 per acre. Today I own a total of 67 acres. During the last big residential real estate boom, local homebuilders built big houses on one-acre lots. Nearly every one of the homes has been fitted with generic beige siding. Almost overnight, prices in my area skyrocketed. The land alone on my property is now worth about $750,000. Now add my house and the other outbuildings, include a guesthouse, a 2,000 sq. ft. workshop, a 90-foot-long barn and a three-car garage with its own workshop. And don’t forget the “sweat equity” I added over the years. I had the outside of the house sandblasted and repointed. I personally gutted and restored the inside of the home and the guesthouse. I also added on to the garage and workshop buildings. Now I wouldn’t take less than $1.1 million. If I wanted to, I could even create 15 to 20 one-acre home sites on my property, completely out of view of my house. You saw how I did it. You can do the same thing. You don’t even have to live there. Just buy raw land if that works better for you. However, there are a few criteria to keep in mind when you go land hunting. First, make sure you develop a relationship with a realtor that is familiar with the area you’re looking in. Express your desire to be high up on their call list for new rural land parcels when they come up for sale. You’ll also want to have a working relationship with an attorney who specializes in real estate transactions. They’ll come in handy when it’s time to search for any outstanding liens on the property and when closing time comes around. Also, familiarize yourself with the area. That means driving down every road and looking at potential pieces of property that might interest you. You can also use Google Earth, but with gas prices so low, why not hop in the car and go for a drive? Even if a piece of property isn’t for sale and you like it, find out who owns it. If the situation is right - say it’s a friendly older couple - stop in and introduce yourself. Whatever you do, don't tell them you’re interested in developing the property - even if that’s your ultimate goal. That will turn many prospective sellers off, especially if it’s rural land. Of course, if you’re not planning to develop, it wouldn’t hurt to make that point. Whenever you DO find a piece of land for sale, always offer 15% to 20% less than the asking price. And think hard about whether you’re willing to accept a counteroffer. If it has a house on it, you can get a loan from a bank. You may have to put down 20% or more depending on your credit rating and your net worth. One is you can write a check if you have the money. The other is to take out a second mortgage on your primary residence. As I said, the sooner you start buying rural land, the bigger the potential payoff down the road. Remember that Mark Twain quote from the beginning of my piece? Fact is, there’s only so much land to go around - particularly undeveloped land. Even if you do nothing, 30 years from now, your property is all but assured to be worth more than it is today. Frankly, I’ll probably never develop my little piece of heaven. I enjoy the quiet and the privacy. But it sure is nice to have options. If you’ve been reading Investment U for a while, you’ve heard us mention the power of real estate investment trusts (REITs). This asset class is an Oxford Club favorite because they pay out at least 90% of their income to shareholders in the form of dividends. So, even if you don’t have the resources - or desire - to follow Dave’s advice, you can still generate income from real estate investing. One REIT Alexander Green likes is Sovran Self Storage (NYSE: SSS). Based in Buffalo, New York, Sovran owns and operates more than 500 self-storage facilities encompassing more than 30 million square feet. It operates its stores under the trade name Uncle Bob's Self Storage, serving over a quarter of a million customers in 25 states.